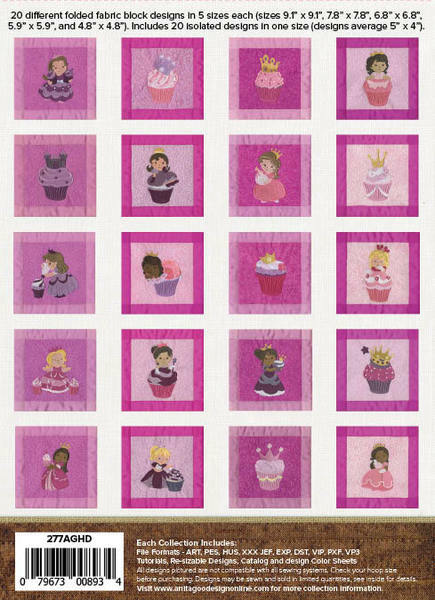 20 different folded fabric block designs in 5 sizes each. Includes 20 isolated designs in one size. 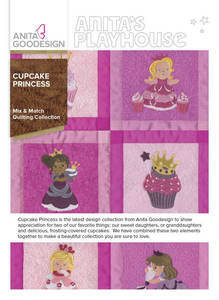 Cupcake Princess is the latest design collection from Anita Goodesign to show appreciation for two of our favorite things: our sweet daughters or granddaughters and delicious, frosting cover cupcakes. We have combined these two elements together to make a beautiful collection you are sure to love.